Sensei Andrew Vickery has studied Ki Aikido since 1992. I started practising at Clifton Ki Aikido Club under Sensei Robert Iles and after four years study, and at the grade of 1st Dan became Sensei Robert Iles’ assistant. This period helped with my practise and greatly with my confidence. So much so that I felt the natural progression was to start up my own club teaching. 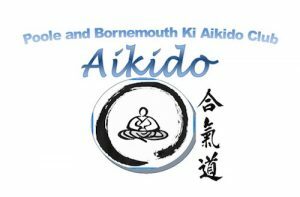 Patchway Ki Aikido Club was started in May 1996 and since then has seen many students join, some as complete beginners, some already graded and moved into the area. I attend all teachers courses and special Dan grade courses to make sure my practise is up to date. I also attend other courses at HQ as often as possible. If you are curious and are interested in coming along please don’t hesitate to contact me for a chat. First lesson is FREE for all new students. Please ring the upper door bell by the blue door and one of our members will let you in, as there are multiple halls the main door is left locked. I started practicing Aikido in February 1973 under the direction of Sensei Kenneth Williams, technical director and founder of the Ki federation of Great Britain. I was awarded his teaching certificate in 1979 and is ranked 8th Dan. 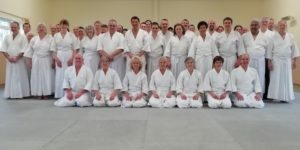 As a grading officer, member of the Federation’s executive committee and international teacher, I continue to practice regularly and attends high grade classes and teachers’ courses taught by Sensei Williams at the Federation’s HQ in Somerset.